Blueprint Creative Group | Branding a Non-profit: Definition of a Brand? Branding a Non-profit: Definition of a Brand? A recent discussion on the Twitter non-profit chat #nptalk moderated by @SocialNicole prompted the beginning of a series of posts targeted specifically to non-profit organizations. After engaging in a series of interesting discussions with a few of the chat’s participants, I found that many non-profits suffer not because of budgetary reasons or staffing constraints but suffer as a result of a weak approach to branding and positioning their non-profit. Since one of the reoccurring themes in the #nptalk chat was about how to effectively brand a non-profit so that its mission, messages, and core values are well communicated to stakeholders, the next few posts will do just that- teach non-profits the importance of designing a multi-layered marketing strategy that effectively brands and positions their organization. Though targeted to non-profits, this information is useful and applicable to any type of organization whether non-profit or for-profit. Since the definition of a brand is often times blurred, we’ll start this series here. 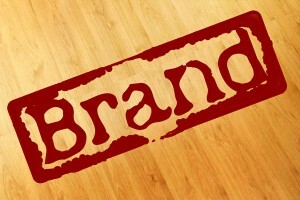 As summarized above, a brand is the sum of the intangibles that consumers hold towards a company, product, or service. However, many people define a brand by its logo, tagline, or visuals when in fact these are part of the brand’s visual elements. Instead, the brand image is a collection of the association consumers hold in their minds when they think of your brand and that often includes the brand visuals. This is usually one of the biggest marketing challenges that non-profits face. Though it is not a simple answer, when you do think of a good brand one thing always remain true: good brands are always consistent in the delivery of their message, promise, value, and experience. Mercedes Benz is always consistent in its brand of delivering German engineering and luxury in everything from its marketing messages to associations, positioning, and uniform imagery. Disney World is always consistent in the same brand experiences being communicated across the board from the experience at its theme parks down to its movies and branded products. The key takeaway is that brand promise is always delivered across multiple touch points. So how does a non-profit (or any organization) effectively establishes its brand? Part of the branding process is to first know who you are as an organization. What is the core brand essence especially as it relates to your mission, vision, and goals? What is the promise/belief being delivered? What are your desired perceptions of the brand? What personality should consumers associate with your brand? Surveying your competition is also very important. What’s your points of parity and points of difference? Who are the different audience segments that your brand speaks to? In summary, non-profits often face greater challenges in establishing its brand due to the difficulty in positioning a service or mission compared to positioning a product. At the least, always be sure that your non-profit is consistent in its voice, message, and look/feel. That way, the mission is not lost in translation.